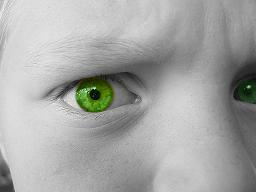 Jealousy and envy are not the same emotions, but they share a common theme. It’s been said that jealousy is the desire to keep what someone has, while envy is that desire to obtain what someone does not have. These emotions are closely related and equally destructive. Envy can cause you to hate. This is a common example: two women – best friends for years - have an ongoing weight problem. They’ve lost weight together, then put the pounds back on – and so on and so on. They commiserate about how much they want to lose weight, and complain about the junk food and fast food that their husbands want, which are tempting and don’t allow them to lose. Then one day they both enroll in a weight loss program. One changes her behavior. She stops buying junk food and loses the weight. The other continues the diet rollercoaster.